After an evaluation of different Desktop GIS we decided to use QGIS in conjunction with GRASS, replacing ESRI ArcInfo and ArcView3 in the 2006. 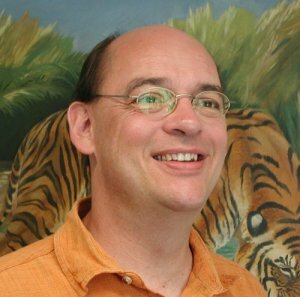 Due to our use of desktop GIS in a Linux Terminal Server environment, Java wasn’t an option. 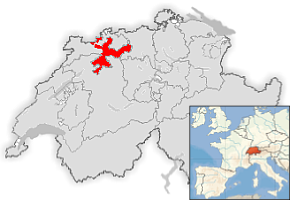 An Active developer (Marco Hugentobler) near Solothurn in Switzerland. One of the most important Desktop GIS issues is the question: “How do I get the information from the PostGIS geodata repository I need?”. Since our end users are unfamiliar with data models and the underlying structures of our spatial database, offering the users a raw connection to the PostGIS DB was not an option. We have a metadata database that stores the descriptions of all production data called ‘SO!DATA’. To remove the need for end users to interact directly with PostGIS connections and table selection dialogs, a plugin has been developed in python. 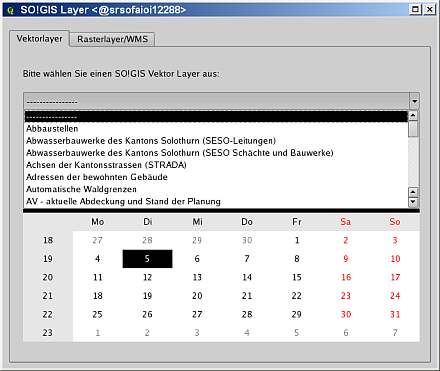 The plugin is called “SO!GIS Layer” (see Figure 1). The plugin connects to the SO!GIS PostGIS repository, gets the information of all published geospatial data layers from SO!DATA and offers the user a GUI to find the data layers they need. With this infrastructure in place, our users are happy — they can prepare for geoprocessing, editing and map composing in an individual way. 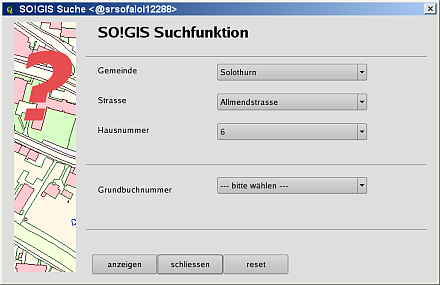 Another required QGIS plugin we created is called ‘SO!GIS Suche’. This provides the possibility to search for locations like townships, addresses or cadastral parcels (see Figure 2). As a result the user is able to navigate very easily to an area of interest.